The Demand for Cutting-Edge Products is Insane: Smartphones, Electric Cars, Space Vehicles, Jet Engines, Turbines, and Batteries. Urbanization is the largest mega-shift on the planet, as 83 million people are added to our planet annually, and with pollution at record levels, cobalt is becoming the clean tech metal of the 21st century. Currently, the supply comes mostly from the Congo, but there is severe political pressure because of the inhumane working conditions! This is causing a supply squeeze, while demand surges, and the price is absolutely exploding! 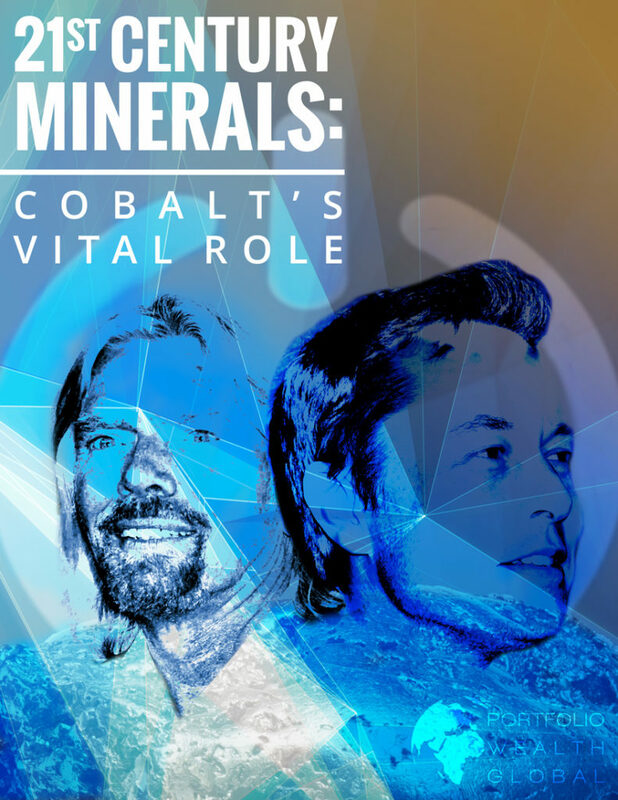 Download 21st Century Minerals: Cobalt’s Vital Role Now! This Exclusive Report includes our No. 1 stock suggestion in the cobalt sector.